It is no mystery autumn is one of my favorite seasons aside from spring and summer (winter not so much as the cold is bad here in NYC). The different colored leaves, the cooler air, the layered fashions and the overall atmosphere that surrounds the fall season; I love it. 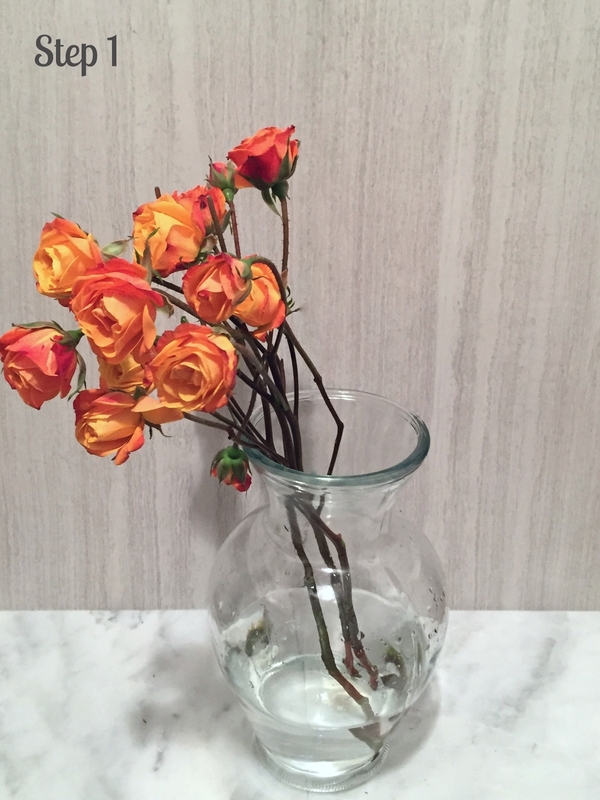 I also love flowers and the only way to continue enjoying those beautiful spring and summer blooms is by incorporating them into our home despite the weather and what may still be available. During those spontaneous pre-made flower bouquet purchases many imagine a beautiful arrangement but once home fail to illustrate their vision (happens to me too) so here are 5 ways/designs to arrange your pre-made bouquets; the ones we all tend to just stick in a vase with no regard to design, making the whole thing look messy, jumbled and not at all appealing to the eye. These flowers are amazing. The colors really go well for this time of year! 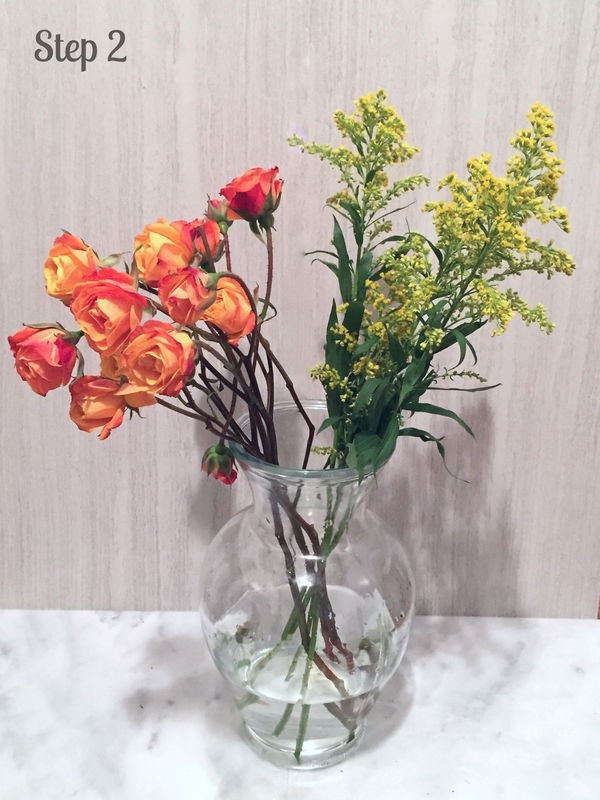 Choose vases that complement your flowers (clear always works great) but the shape also contributes to the look so make sure to choose something accordingly. Separate each flower by type and/or color (I chose type). 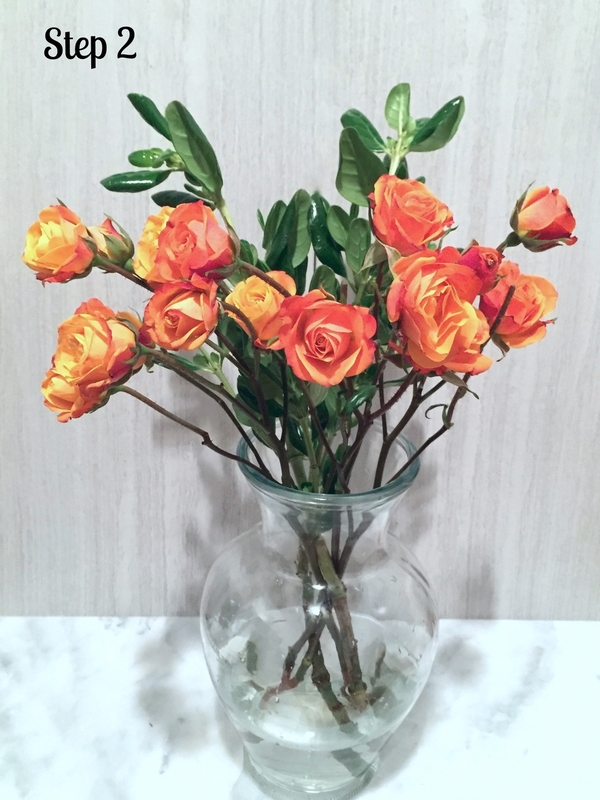 Remove any excess leaves on your flowers making the overall look neater + will allow the quality of the water to last longer as the leaves won't be absorbing any of it. Leave a few towards the top of the stem if you'd like. 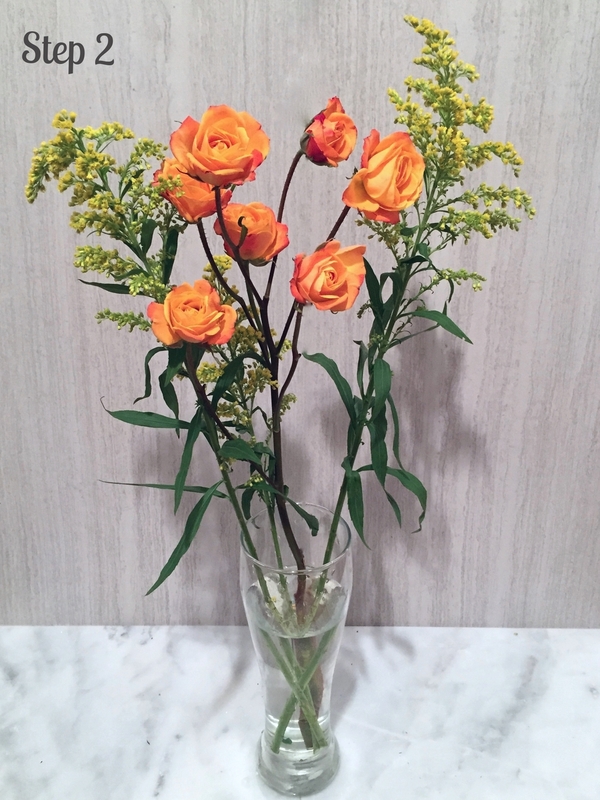 Make a diagonal cut to each flower (they absorb the water better this way making the blooms last longer) + keep in mind your desired length (depending on the hight of your vase). Hold the flowers that look best together + create some ideas if you're planning on making several arrangements out of one single bouquet (this is what I did). 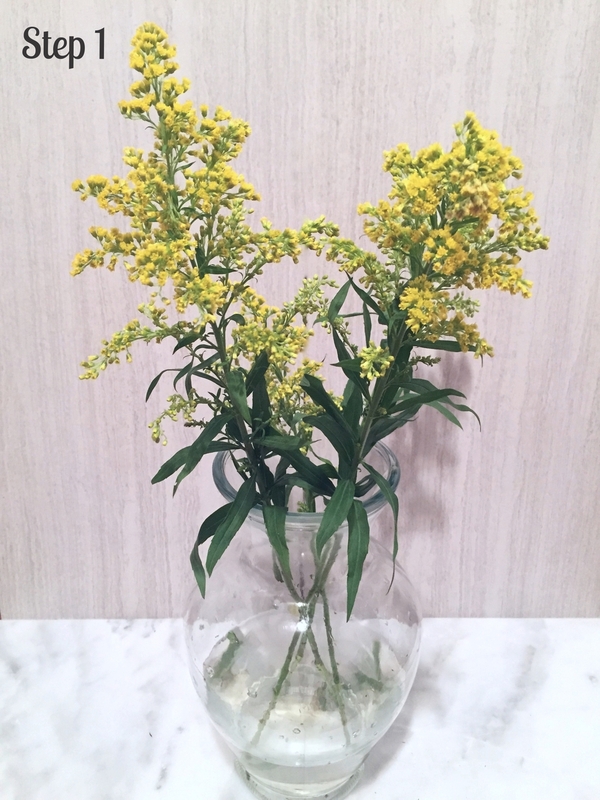 If you prefer using all the blooms in one single vase, adding them one at a time will help you control where and how everything is placed resulting in a beautiful arrangement. Based on the (flower arranging tips) that I mentioned on the post with the same name, I went ahead and started each arrangement with greenery or foliage stems which serve as the (Base). Then I added the main flowers (Focal) and finally any other (fillers) that complement the look. In each arrangement I started at the back and worked my way to the front. Plus added the (fillers) throughout the center of my vase so that the flowers always stay in front. Feel free to switch up where you put each flower (this is your chance to experiment). 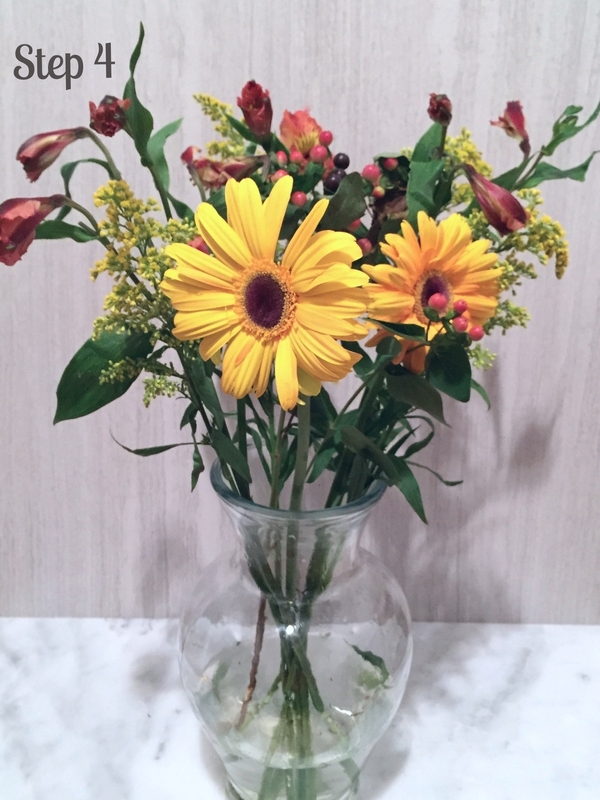 Hope you have gathered some ideas and tips to arrange your next pre-made flower bouquets. I had loads of fun designing these plus it is quite relaxing spending time with flowers... No wonder many people get into gardening!